88 Uses for Petroleum Jelly – I have a jar of Vaseline Petroleum Jelly in my cupboard. Why? I have no idea. I bought it years ago for something and I haven’t used it since. One of my aunts suggested that we do a collection of uses for petroleum jelly but I kinda put off the idea because I thought that the list would be to small. However, my aunt was very insistent and much to my surprise the list grew beyond what I thought that it would. I know that this list will surprise many of you, it definitely surprised me. Many of the uses we’ve listed can be attributed to the WWII era but we’ve also thrown in some more modern twists so that you can get the most out of your jar of petroleum jelly. Bruises – to help them heal faster, apply a small amount to the area several times a day. Cuts – to keep them from getting infected, apply a small amount to the area before applying. Ears – to keep water out, place a cotton ball dipped in petroleum jelly into your ear. Fever – to sooth, place the petroleum jelly in the freezer for 5-10 minutes. Remove from freezer and apply to forehead. Feet – to remove odors, apply petroleum jelly to feet. Kick your feet up for 15-30 minutes and wipe off with a clean dry towel. Muscles – to soothe pain, make a paste using petroleum jelly and a few drops of eucalyptus oil and/or peppermint oil. Warm the paste in the microwave and apply to sore muscles. Nose – to relieve chapping, apply petroleum jelly to the affected area. Nose – to relieve dryness, using a cotton swab apply a small amount inside each nostril. Razor Burn – to soothe, place the petroleum jelly in the freezer for 5-10 minutes. Remove from freezer and apply. Wind Burn – to heal, apply a generous amount to the affected area. Cheeks – for a nice glow, mix your favorite color lipstick with a little petroleum jelly and apply like you would a cream blush. Cuticles – to soften, massage cuticles with petroleum jelly. Elbows – to soften, massage a small amount 2-3 times a day. Eyebrows – to tame, apply a little to your eyebrows. Eyelashes – for longer thicker lashes, apply to lashes before going to bed. Eyelashes – when you run out of mascara, apply to eyelashes. Eyelashes – to remove glue from false eyelashes, apply a little petroleum jelly and wipe away. Eye Lids – to make dry eye shadow appear creamy, apply a thin layer of petroleum jelly on your lid before applying your eye shadow. Face – to brighten dull skin, apply petroleum jelly under your brow bones, over your upper lip and on your cheek bones. Feet & Hands – to soften, before bed, apply a generous amount and cover with socks or gloves. Fingernails – to condition dry and brittle nails, rub them with petroleum jelly before bed. Fingernails – to keep nail polish off of cuticles, apply petroleum jelly to the cuticles. Paint your nails and when the polish is dry wipe away the jelly. Hair – to reduce itching, massage a small amount into the scalp 2-3 times per week. Hair – to give it shine, apply a very small amount to the top layer of your hair. Brush it through the hair. Hair – to hide split ends, apply a very small amount to the ends of your hair. Hair – to give it a beach look, rub a little in your hands and scrunch it into your hair. Hair – to protect skin from hair dye, lightly dab petroleum jelly around your hairline before coloring your hair. Hair – to remove gum, work petroleum jelly into the hair and gum. Legs – to moisturize, massage a small amount onto your legs. Legs – to make them glow, make a paste using petroleum jelly and cinnamon. Mix well and apply to legs. Lips – to exfoliate, apply petroleum jelly to your lips. Leave the jelly on your lips for 3-5 minutes. Brush your lips using a soft bristle toothbrush. Lips – to make matte lipstick shiny, mix lipstick with a little bit of petroleum jelly and apply with a lip brush. Lips – to make your own lipstick, make a paste using powdered blush and petroleum jelly. Apply with a lip brush. Lips – to make your own lipstick, make a paste using Kool-Aid and petroleum jelly. Apply with a lip brush. Lips – to make vanilla flavored lip gloss, make a paste using petroleum jelly and a little vanilla extract. You can use other extracts for different flavors. Lipstick – to keep it from sticking to your teeth, apply a little petroleum jelly to your teeth before applying lipstick. Lotion – to save money, add some heated petroleum jelly to your favorite lotion to make it last longer. Makeup – to remove, apply petroleum jelly and wipe away with a clean cloth. Perfume – to prolong the scent, before spraying your perfume, apply a thin layer of petroleum jelly on the area that you are going to spray. Skin – to exfoliate, mix petroleum jelly with sugar of sea salt. Scrub your skin with the mixture and rinse. Skin – to soften, apply a thin layer to face before bed. In the morning wash your face. Wrinkles – to minimize, apply a thin layer to face before bed. In the morning wash your face. Bottles – to keep the lids from sticking, apply a thin coat of petroleum jelly to the jar before attaching the lid. Candle Holders – to easily insert and remove, apply a little petroleum jelly into the holder before inserting your candle. Candle Wax – to remove, apply petroleum jelly to the edges of the wax and allow it to sit for 5-10 minutes. Wipe away with a soft cloth. Doors – to keep them from squeaking, apply a little petroleum jelly to the hinge. Flies – make your own fly paper, dip strips of paper into the heated petroleum jelly. Hang the strips using paper clips. 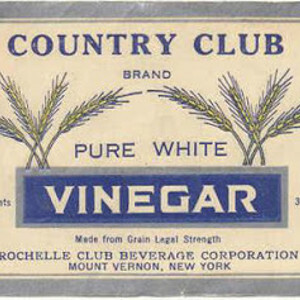 Leather – to remove dryness, apply petroleum jelly to the leather using a soft cloth. Wipe away excess jelly with a clean dry cloth. 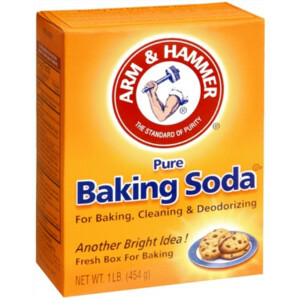 Leather – to restore shine, buff leather with a small amount of petroleum jelly. Light Bulbs – to keep them from sticking, apply a small amount of petroleum jelly to the threads before installing. Lipstick Stains – to remove, blot the stain with petroleum jelly before washing. Pastry Mat – to keep it from slipping, dab a little petroleum jelly on the corners before placing on your counter. Patent Leather – to restore shine, polish with petroleum jelly. Refrigerator – to have a good seal, apply a thin coat of petroleum jelly to the door seals periodically. Shower Curtains – to slide easily, apply a thin coat of petroleum jelly to the curtain rod. Sliding Shelves – to keep them from sticking, apply petroleum jelly to the sliders. Toilet Plunger – to get a good seal, apply a thick coat of petroleum jelly to the plunger. Windows – to lubricate, apply petroleum jelly to the tracks. Wood Furniture – to repair water rings, apply a generous amount of petroleum jelly to the area and let it sit for 24 hours. Buff the jelly into the wood and wipe away. Wood Furniture – to remove gum, apply petroleum jelly to the gum and allow it to sit for 15 minutes. Work the jelly into the gum with a rag and the gum will start to break up. Continue working the jelly into the gum until it is gone. Wood Furniture – to repair scratches, apply a generous amount of petroleum jelly to the scratches and let it sit for 24 hours. Wipe away excess jelly. 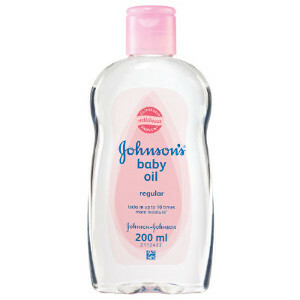 Diaper Rash – to prevent, apply a thin coat of petroleum jelly before putting on a new diaper. Shampoo – to keep it from getting into eyes, apply petroleum jelly above the eyebrows. Vapor Rub – to dilute, mix vapor rub with petroleum jelly. Dogs – for cracked paws, apply a little petroleum jelly to the pads. Food Bowls – to keep ants out, apply a thin layer of petroleum jelly around the base of the bowl. 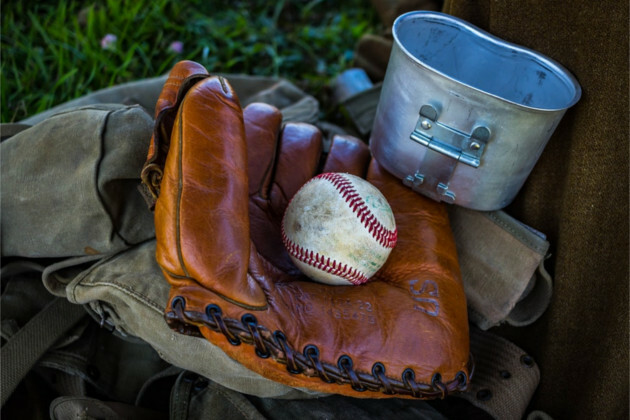 Baseball Glove – to soften the leather, apply a generous amount of petroleum jelly and work it in. Tie a baseball in the glove and place in a plastic bag. Allow it to soften for 7 days in the bag. Wipe away any excess jelly. Bikes – to lubricate the chain, apply petroleum jelly to the chain. Bird Feeders – to keep squirrels out, apply petroleum jelly to pole. Keys – to slip into the keyhole easily, apply a small amount on the key before putting it into the keyhole. Machinery – to keep outdoor machinery from rusting, apply petroleum jelly to the parts that are prone to rusting. Roller Skates – to lubricate, apply petroleum jelly to the wheel bearings. Skateboard – to lubricate the wheels, apply petroleum jelly to bearings. Battery – to prevent corrosion, apply petroleum jelly to clean terminals. Dashboard – to clean and shine, apply petroleum jelly and buff away using a clean cloth. Rubber Seals – to keep doors from sticking due to freezing weather, apply a thin layer of petroleum jelly to the door seals. Chrome – to keep it from rusting in storage, apply petroleum jelly to the item and wipe it away when you are ready to use it. Door Hinges – to keep paint from sticking, apply petroleum jelly to the hinge before painting. When the paint dries, wipe the hinge with a paper towel to remove. Earrings – to easily insert, apply a little petroleum to the ear lobe and the earring post. Fire – to make your own accelerant, dip a few cotton balls into petroleum jelly and place them in a paper lunch bag. Light the bag and place your wood over it. Jack-O-Lantern – to keep it from drying out and rotting, apply petroleum jelly to all of the cut edges. Painting – to keep paint off, apply petroleum jelly to the areas that you don’t want paint. When the paint is dry wipe away the jelly with a paper towel. Pipes – to make threading easier, apply petroleum jelly to the threads before connecting. Rubber Seals – to lubricate, coat the seal with petroleum jelly. Wedding Ring – to easily remove, apply a little petroleum jelly around the ring and slide the ring around until it comes off. Windows – to keep paint from getting on the glass, apply petroleum jelly using a cotton swab to the edges of the glass. When the paint dries wipe away the jelly with a paper towel. Zippers – to ease tough zippers, apply a little petroleum jelly to the teeth. definitely saving this list- how useful! (I want to try making lipstick with koolaid now :D) plus, that old ad is gorgeous. Wow, there are a lot of uses for it! I don't have any in my house, but my mom always has a jar of it available and ready for use at her place. oh my gosh- there are SO many! i love this list. i am all about simplifying and this list gave me so many ideas! thanks for sharing. Great post!! Filled with so many useful tidbits!! Great tips. Thanks so much for sharing with Wednesday's Adorned From Above. I keep both regular petroleum jelly and creamy petroleum jelly at several places in the house. Before painting, I apply a thick coat of the creamy and let it soak in – less paint stains on my hands, but then I am messy. You cannot let this entertaining series end! Wow! I knew there would be a lot, but I didn't think you could use Petroleum jelly for that many things. Loved reading this…. thanks! Stopping by from the blog hop. Great post. I love learning new things 🙂 Thanks so much for linking up to The Gathering Spot this week. Oh my goodness! Who knew? Great information again this week. Now where is my jar of petroleum jelly…I'm so glad you joined us at Transformed Tuesday this week. Always love finding new uses for everyday items. I use vaseline on my feet when they get sore from going barefoot too much. Spread some on and put on socks and they feel so much better. Thanks for sharing with SYC. Wow, love all these uses! Thank you for sharing at our Pinteresting Party! Great ideas! Thank you for linking up at SHOW-licious Craft Showcase! Great reminder of all these simple solutions. I'm visiting form the SHOW-licious Craft Showcase. Thanks for sharing. What an awesome list! Thanks so much for linking this up to the Pinworthy Projects Party! 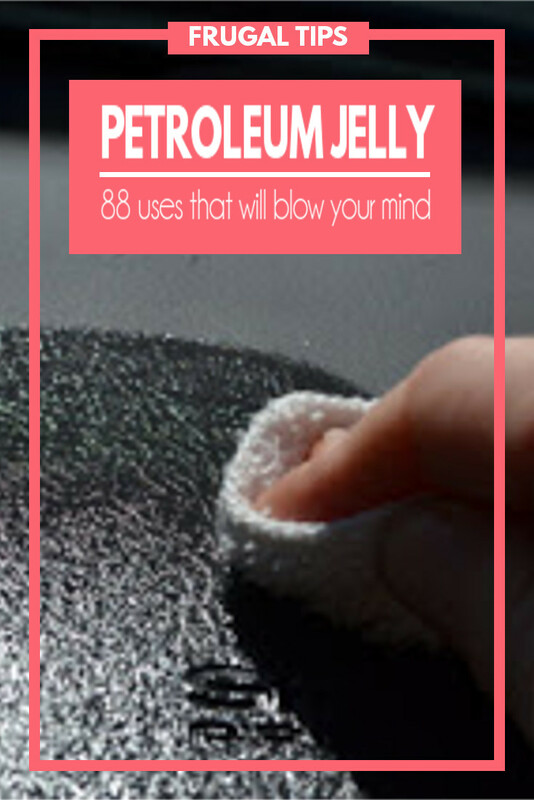 I had no idea you could do that many things with petroleum jelly. You are featured as today's Dare to Share Feature of the Day.